Improper disposal of pharmaceuticals pollutes our water and our land. Take Back Days aren’t enough: People stockpile prescriptions in their homes for a one day/year event. While people can bring them to police stations, it's an added inconvenience. Under this current model, the cost to dispose of these unwanted pharmaceuticals is borne by the taxpayer, since the collection and destruction has been overseen by government agencies. I am tremendously grateful to Walgreens for being a leader and a partner in our communities and that Lake County was recognized as an important ally in this initiative. 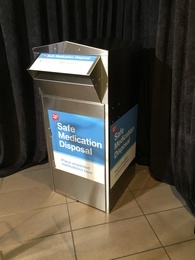 This move makes the disposal of medications — including opioids and other controlled substances — easier and more convenient while helping to reduce the misuse of medications and the rise in overdose deaths. 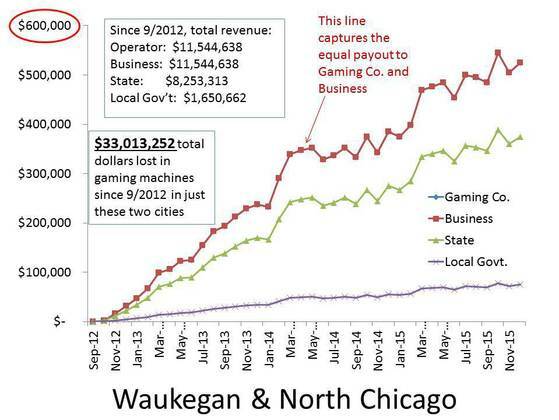 $4,484,533 was lost* in video gaming machines in North Chicago since 9/2012. The City of North Chicago gets 5% of these revenues, or just $224,227. As a result of our county action, over $15,000,000 has been lost in video gaming in the unincorporated areas. County government has received $750,000 in revenues, which is in a separate fund. To date, the County Board has approved expenditures for Text-a-Tip, Crisis Intervention Training for our officers, and gambling counseling out of this fund. The more machines added to a community, the greater the losses experienced. The average 'loss' per machine hovers around $5,000 regardless of machines added. Don't Get Caught With Expired License Plates! The Secretary of State’s office will no longer send annual license plate renewal notices. While this may be a minor inconvenience, this seemingly small change will save Illinois $450,000 per month. Sign up to receive an an email notification to renew your pates. Your registration ID and PIN are found on your paper registration form. Senior citizens may defer part or all of their property taxes on their personal residence if they qualify for the Senior Citizens Tax Deferral program​. Applications are available at the Lake County Treasurer’s Office, 18 N. County St., Waukegan, and must be notarized and submitted to the Treasurer’s Office by March 1. To learn more about the program, please contact the Treasurer’s Office at 847-377-2323, or visit www.lakecountyil.gov/treasurer. Don't miss your chance to see one of the rarest, most valuable and most influential books in the world––the 1623 Shakespeare First Folio. This once-in-a-lifetime national touring exhibit commemorates the 400th anniversary of Shakespeare's death in 1616. The exhibit runs through Feb. 28 and thanks to a generous donation, is FREE at the Lake County Discovery Museum. Learn more about this exhibit. Are you Ready for the Upcoming Election? There are several ways to register to vote in the upcoming General Primary Election. You can visit one of several Official Places of Voter Registration until Feb. 16; the Lake County Clerk’s Office, 18 N. County St., Room 101, Waukegan, online at LakeCountyClerk.info, or at an Illinois DMV when updating your driver’s license. You must be registered before receiving a ballot. For more information on the upcoming election, including changes in election law and the different ways to vote, watch this video. LakeVoterPower.info is the one-click source for complete customized voter information, such as confirmation of voter registration; requesting a ballot by mail; directions to early and Election Day voting sites; and viewing a sample ballot. The water crisis in Flint, Michigan has some people thinking more about what comes out of their tap. Lake County Public Works provides water to customers across Lake County. To learn more about what we are doing to protect your local drinking water quality and find out where your water comes from, watch this video. You can also view our annual water quality consumer confidence reports. Applications are now available for the Lake County Board’s Summer Youth Employment Program, which offers youth the opportunity for a paid, part-time work experience over the summer. Apply online or at the Lake County Job Center in Waukegan until Feb. 29. The Lake County Stormwater Management Commission (SMC) is offering eight internship opportunities this spring, summer and fall to work in the Des Plaines River Watershed. SMC is seeking two interns to collect detention basin inventory data, and six to collect river and stream inventory data. View further details regarding the positions and how to apply. 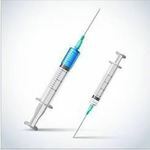 When medical sharps (lancets, needles and syringes) are not disposed of properly, they could injure family members, trash handlers or others who might come in contact with them. It is now against the law to knowingly mix sharps with materials intended to be recycled by a residential hauler. You can prevent injury by placing sharp objects in a hard-plastic or metal container with a tight screw-on lid and place it in your trash, not recycling, container or bin. Do not use glass or clear plastic containers or put sharp objects in a container that will be used for recycling or returned to a store. Read more to learn about how to safely dispose of sharps. 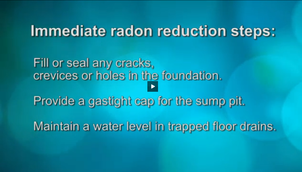 Residents are encouraged to check radon levels in their homes or apartments during the winter months. Radon is an odorless and colorless gas and can increase your risk of lung cancer. The Lake County Health Department Community Health Center offers short-term test kits to test levels in your home. Watch Healthy Lake County to learn more about this as well as tips on healthy eating and protecting yourself from hypothermia. Annual permits for use of Lake County Forest Preserve dog parks, horse trails and model aircraft flying field are on sale. Permits are good from time of purchase through Dec. 31. Permits can be purchased online, by calling 847-367-6640, in person at our general offices in Libertyville and Operations and Public Safety Facility in Lindenhurst, or by mail or fax. Lake County Forest Preserve picnic shelters and open areas are popular locations for family gatherings, wedding receptions, company picnics and other special events. Plan your 2016 event early to ensure your first choice of shelter and date. Reserve shelters online, by calling 847-367-6640, or in person.